If you’re wondering about upgrading UCCX from 9.0(2)SU2 to 10.6(1)SU2, and would like that information with a side of snark, then this is the post for you. Fair warning, this is one of those your-mileage-may-vary entries, definitely do not take my notes as gospel because I promise *I* won’t be the one restoring your UCCX server from backup at 3am. Always read the release notes and upgrade guides in their entirety, skipping pages earns you nothing but (more) pain and suffering. That being said, there’s a few important compatibility matrices you will want to check for this upgrade. Pay close attention to whether your UCS can handle later versions of ESXi without UCS upgrades. For instance, 10.6 no longer supports ESXi 4.X, so you might have some pre-upgrade UCS work to be done before the real party gets started. 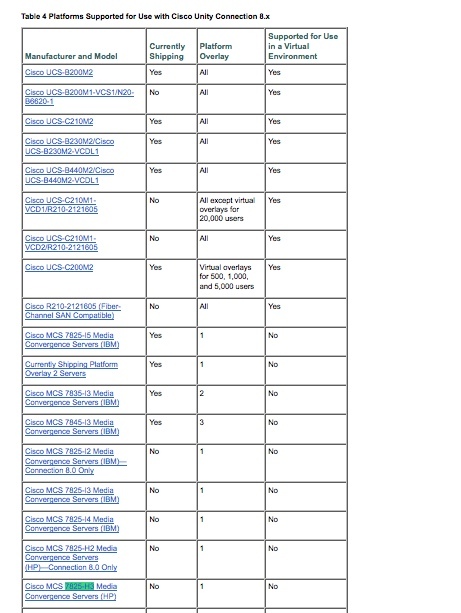 If you are unsure about your UCS/ESXi version compatibility, try this link for checking. UCCX 10.6 upgrade from 9.0(2) does require a .cop file, I used ciscouccx.refresh_upgrade_v1.9.cop.sgn. Before beginning this process, I highly suggest taking a screenshot of your licensing, sacrificing a couple of chickens, and making sure you have ordered your upgrade license through the PUT tool. Voice engineering breeds much in the way of paranoia, so I also recommend downloading the scripts and prompts, just in case you get the additional fun of rebuilding the server from scratch. It should go without saying, but I’ll say it anyway, be sure to check that your backups have been running AND that they have been running successfully. The order of operations goes something like this for an HA setup, note that there is no Finesse deployed in my setup, strictly CAD. Confirm the primary is active and all services show IN SERVICE – don’t skip this, I’ve never tried to upgrade in an active failed over state, but I imagine it’s like crossing the streams and would end in much badness. Install upgrade file to primary, drive to a different county to get coffee, don’t panic when the server reboots during the installation, and do not reboot after install. Install upgrade file to secondary, switch to vodka. Question life choices to get involved in voice engineering. Do not reboot after install. Switch versions on the primary. There’s more than enough time at this stage to continue questioning your life choices. All of them. Server (finally) boots to new version. Wait for services to start. The docs say this could take up to 30 minutes. Shouting profanities at the server will not shorten this interval significantly, but you’ll likely try anyway. Power on server, wait for services. Yes, again. Switch versions on the secondary, repeat the process above, pour another glass of whatever is left. Once the primary and secondary are both online with all services show IN SERVICE, check that replication status is good. The above list is strictly an overview, but gives you a reasonable idea of what to expect during the upgrade. A whole lot of proper planning will result is a whole lot of waiting for things to happen, but not much else. An uneventful voice upgrade is an awesome voice upgrade. *Things got interesting with this. During the planning stages, TAC sent me a link to the procedure for altering the OVA, related to Bug ID CSCut04158. This detailed the process to change the vNIC to vmxnet3. When I presented the process to my virtualization guru, he concluded it would not work for our configuration, we would have to use some PowerCLI magic instead. And by we, I mean he. He used PowerCLI magic, I just threw another chicken onto the alter. The code went something like get-vm MyServerName | get-networkadapter | set-networkadapter -type “vmxnet3” – use this suggestion at your own risk, I am not a virtualization expert, nor do I play one on TV. Occasionally in voice world you are required to update firmware for just certain phone types and not others. Say for example you’ve received a batch of those 7945 or 7965 phones that only support 9.3(1)SR1* and you aren’t running that version of firmware on your CUCM yet. There are just a few simple steps and gotchas to watch out for to get this firmware up and running on these phones. Save the file to your sFTP directory and launch your sFTP client. I typically use FreeFTPd, but use whatever sFTP client you are comfortable with. Copy and paste the current value of the default firmware into Notepad or Evernote or whatever program you use that helps keep you from losing stuff. In this case, I copied SCCP45.9-2-1S which was the default device firmware for the 7945 and 7965 phones. Next jump on over to the publisher and navigate to OS Administration -> Software Updates -> Install and Upgrade. Walk through the prompts to upgrade from sFTP, select your file, check the MD5 hash, and start the install. Now at this point, newbies to voice might think that their work here is done, firmware file installation reported complete, so what could be left? Well, it’s voice, it’s *never* that easy. In this case, the system has actually done you a favor. If you jump over to CUCM Administration, you will see that the device default fields for your phone models have been updated to the version you have just installed. Because, however, you have not stopped and started the TFTP service, you have a fabulous opportunity to paste back in your old version value if you would like, before the TFTP service is reset and the system starts upgrading your phones. I typically copy and paste the new value to Notepad and place the old value back into the appropriate fields. Now I can apply the firmware to a single test phone and not *all* the phones of that model type before rolling the firmware out. This becomes massively more important when dealing with some of the newer phones and brand new releases of code. Then it’s over to Cisco Unified Serviceability -> Control Center – Feature Services to restart the TFTP service on each node. Now, to test your new firmware on a specific phone, find that phone in CUCM and paste the new firmware value into the Phone Load Name field. Reboot the phone and it should then grab the new version. Once you’ve established that the new code doesn’t bork your shiny Cisco device, paste the new firmware value into the appropriate Device Defaults field for your phone models. Then all phones of that type will be able to upgrade to that version. **It should go without saying, but I’ll say it anyway, always read the release notes and check the compatibility of the file(s) you are selecting. Voice is extremely unforgiving if you choose not to read the fine print. ***Technically you really only need to do this on the server(s) that are acting as TFTP servers, but I like the consistency of all the servers having the files in case one should need to take over that role unexpectedly. I find the upgrade research process far more entertaining if you approach it like a less than ideal scavenger hunt – a poorly planned, slightly brutal game of talent and luck- mixed with just a pinch of despair. In this example, which will not begin to cover all the ways/paths/routes you can go for an upgrade, we will take a common scenario and walk through the basic research process. This is more to outline the process and things you should be checking rather than trying to be a comprehensive list of links for upgrades. I apologize in advance for all the links in this post that will inevitably become dead after a matter of time, but there’s only so much in the universe I can control. Also, I shouldn’t have to say this, but ALWAYS check the latest versions of the documentation – things change – but it’s highly unlikely I’ll modify this post to reflect it. I’m just lazy that way. In case you have been living under a rock, the reign of tyranny Unity has enjoyed over voice engineers has been given an official end date, so if you are looking to upgrade your voicemail server, Unity Connection is the way to go. The breeze with which this product installs in comparison to it’s predecessor will make you want to kiss your mother-in-law and hug your neighbor’s yappy little dog. In our current example, you can see that this model of server is supported for versions of Unity Connection 8.x. Yay, you! Specifically, it’s supported for Platform Overlay 1 which requires 4 gig of RAM and 2 250 gig drives. As you can see, our example server does support CUCM 8.6 but there is both an X and a (2). If you look at the sub notations on this already freaking fabulous chart (note sarcasm font), you will see indicators that while this server is supported, there are certain memory and hard drive upgrade considerations. In this case, our sample server meets the hard drive specs (160 GB drives), but is going to need an extra two gig of RAM to make the leap into hyperspace. One note here, be sure to watch out for servers that are supported only for bridged upgrades – this means you can take the server up to the latest version, but the only thing it’ll be good for is to take a backup that can be restored onto a supported server. That, and I’m sure it makes a really useful, if somewhat noisy, door stop. Be sure if you find yourself in this situation to pick a stable intermediate version. This document may make your head spin a little, but first look for the version of UCCX you want to go with, in our case 8.5(1). Then check and see of your server makes the cut. In our example case, we do make the cut – our version of UCCX 7.0(1)SR05_Build504 is even listed under supported upgrade paths- BUT looking at the document closely, UCCX 8.5(1) isn’t supported with our current CUCM 7.1. Welcome back step upgrade. You will need to keep your UCCX and CUCM versions compatible, so upgrading to UCCX to 8.02 then upgrading CUCM to 8.6, then upgrading UCCX to 8.5(1) will do the trick. And lead to excessive drinking. Note, however, that our example CUCM version is not explicitly listed in the chart- only 7.1(3) and 7.1(3b) – so if it were me, I would confirm with Cisco support that 7.1(3a) indeed did support UCCX 8.02. Make no assumptions when it comes to the documentation- ever. This will get you started on your hardware check, help determine if you need to invest in new servers, and give you an idea of what version you should be targeting and what it’s going to take to get your hardware there. *To say I hate this chart with the passion of a thousand suns is a woefully pathetic understatement. If it burned in the fires of Hades for all eternity, that wouldn’t be long enough. ***Note that in some cases you may actually lose some functionality your users are dependent on, specifically I would mention the loss of built in Attendant Console when making the jump to CUCM 8 and above. Double check everything for gotchas and caveats, it’ll save your arse and your upgrade.